The mightiest superhero in Z-City gets stylized with Funko Pop One-Punch Man. The release offers a few options from the animated Japanese series which also airs on Adult Swim, dubbed in English. One-Punch Man sets itself apart from traditional Japanese manga and anime, mainly due to its primary hero, Saitama, who struggles with being too powerful along with being bald. As the strongest, fastest supe with other-worldly senses, the "Caped Baldy" is dissatisfied with his adversaries and their lack of power. 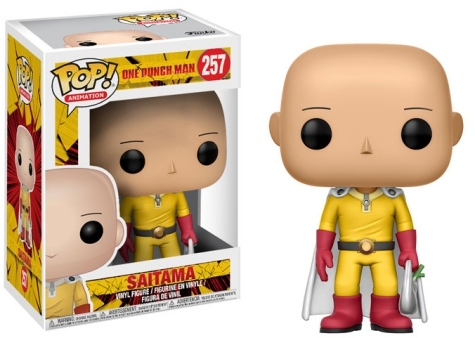 Standing in a yellow jumpsuit, the Saitama Pop! figure wears red gloves and boots with a white cape. Shop for Funko One-Man Punch Figures on eBay. 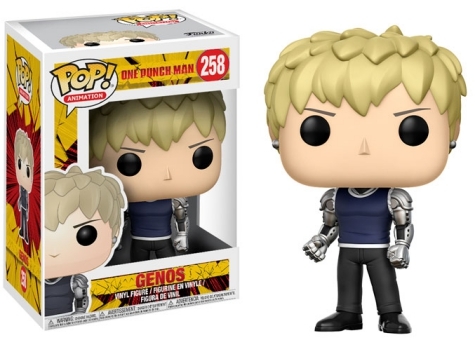 Funko Pop One-Punch Man also includes Saitama’s disciple, Genos. 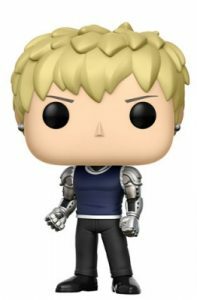 Posed with spiky hair just short enough to reveal pierced ears, Genos dons a blue athletic tank top displaying his metal arms. He completes the look with dress slacks and loafers. Lastly, the nefarious alien Lord Boros boldly stands with white harem pants over his gold-armored body. 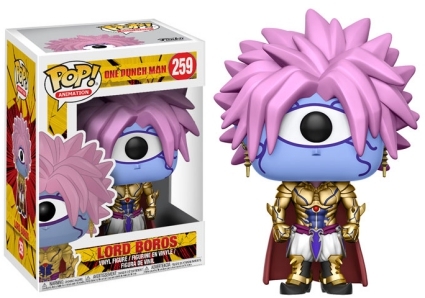 The leader of the Dark Matter Thieves, Boros is a cyclops and the edges of his large eye are covered by his purplish hair. 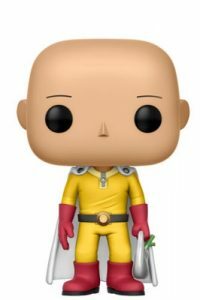 Funko Pop One-Punch Man is numbered as part of the larger Pop! Animation line. Each figure stands roughly 4" tall.